Give Purple Crane a call for expert crane rental and operator services. We are available 24 hours a day to help contractors and homeowners in Pomona with lifts and moves of heavy- and light-duty items anywhere in Southern California. We have 30 years of experience and have completed more than 75,000 lifts. Our inventory of cranes and boom trucks can handle lifts up to 75 tons and as high as 165 feet. 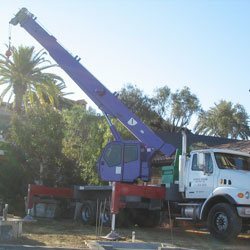 With our team of expert crane operators, highly reliable cranes, and excellent rates, Purple Crane offers the best value in Pomona for crane rental services. 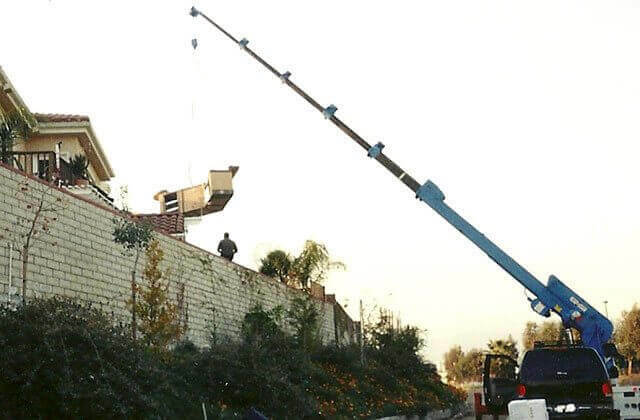 The key to having a safe and successful lift is choosing the right crane for your Pomona job. 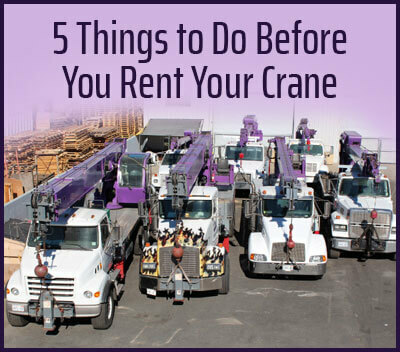 When you call Purple Crane to rent one of our cranes, we take the time necessary to learn exactly what you need to move and where it needs to go. This is how we determine which crane will be able to effectively, safely and cost-efficiently do the job. Our inventory includes cranes made by the most trusted names in the industry: Manitowoc, Terex, Garland, Dynalift, Grove, and Link-Belt. They range in load capacity from 3 tons to 75 tons, and our largest hydraulic crane extends to 163 feet. We also have man baskets, vans, trucks, and trailers. Our trucks and trailers are used to transport oversized or overweight loads of up to 15,000 pounds to and from Pomona. All of our lift equipment is routinely inspected and serviced by our crane maintenance experts to ensure that your lift will proceed smoothly - whether you have a last minute, one-time lift, or a long-term crane rental need in Pomona. Purple Crane is OSHA compliant, CCO-certified by the National Commission for the Certification of Crane Operators, and fully insured. We are aggressive about staying on top of the best practices in the industry, as well as the changing regulations at the city, state and federal levels. We are also proud members of the Specialized Carriers & Rigging Association (SC&RA). We have trucks and trailers to manage the transportation of oversized loads for the transportation, construction, manufacturing, HVAC, utilities, and landscaping industries. We can haul virtually anything to or from Pomona that weighs less than 15,000 pounds, such as air conditioning and heating units, shipping containers, large machinery, pipes, steel furnaces, pumps, motors, transformers, and more. You can trust that we will get your objects safely to your final destination and have a lift ready and waiting on the other end (if needed). Call us today for a quote. 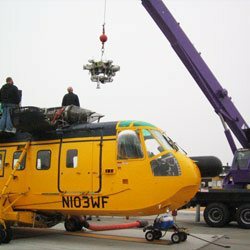 We can transport objects between any Southern California locations. Our Pomona clients would agree that Purple Crane's impressive staff provides exceptional customer care and crane services. 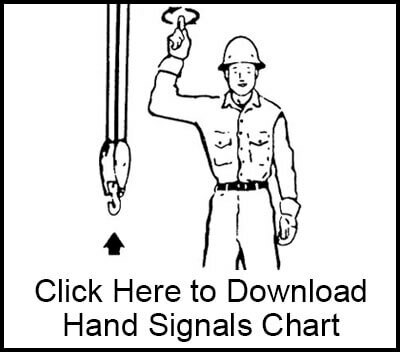 Our crane operators have years of hands-on experience, and are all certified by the NCCCO. Each of them has at least nine years' experience - some with as much as four decades! So, no matter who on our team works on your job, you can trust that you are working with a crane expert. No matter what kind of job you are supervising in Pomona, we know that saving money is always a high priority. At Purple Crane, we have done our best to offer our high quality crane services at the most competitive prices. Additionally, we have made it our mission to choose the right crane for every project, the first time, every time. 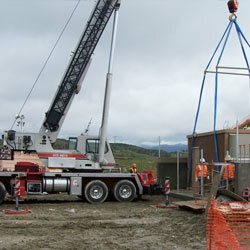 This requires the knowledge and experience to know which questions to ask and how to interpret the answers to properly calculate the best crane for the job. 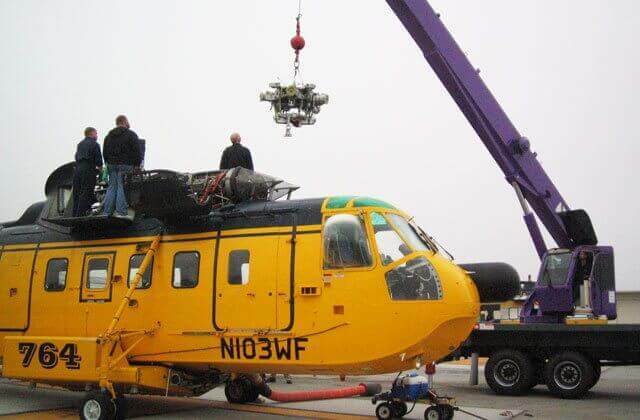 Upon arrival, our operators will verify ground conditions, look out for any overhead obstacles, and work closely with your rigger to ensure that your lift occurs successfully and incident-free. We offer emergency or last minute crane requests, and are capable of obtaining a certificate of insurance within a day. We will arrive promptly, set-up quickly, and stay focused on the job at hand until the job is done. Plus, if you need a man basket, van, truck and/or trailer for your Pomona project, we have you covered. We have been serving the Pomona area for 30 years and during that time we have consistently delivered the highest quality crane rental services at the best possible price. From the moment you pick up the phone, you'll know you are in good hands. Call us now to learn more about our crane rental and operators services. 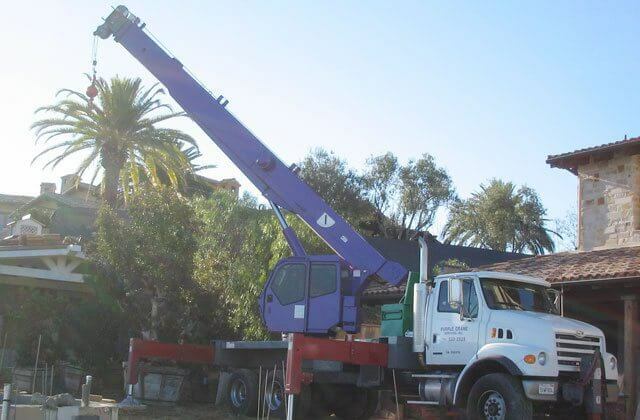 Our crane services are available anytime of day or night in Pomona and throughout Southern California. Crane rentals are available for as little as two hours for our light-duty cranes and fours hours for our heavy-duty cranes. No time or money will be wasted when you call us for a mobile crane. we'll select the right crane for your lift, arrive within the timeframe promised, and provide same-day certificates of insurance, when needed. 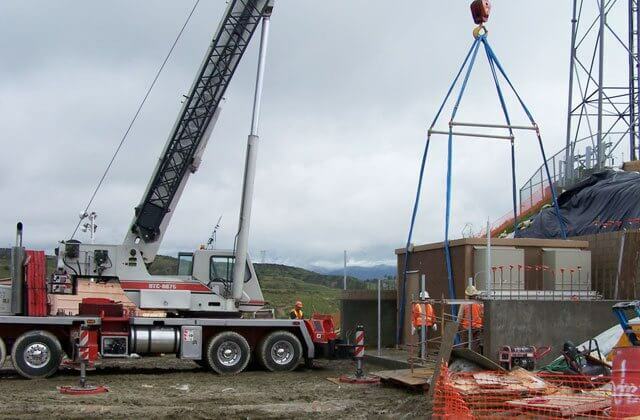 Our crane operators can be trusted to drive safely onto your jobsite, avoiding overhead obstructions and expertly maneuvering around corners, and move your equipment, materials or objects carefully to its specified destination. We will get your crane balanced, properly stabilized and quickly assembled, so that we can complete your lift with minimal downtime. At Purple Crane, we go above and beyond in our efforts to ensure your lift goes smoothly and without incident. We have a diverse selection of cranes to handle a wide variety of lifts. Additionally, we have expert drivers and operators who have worked with every type of client. 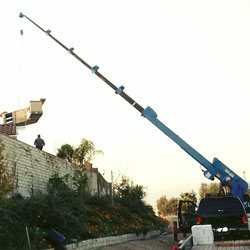 Call us today for prompt, affordable crane service you can trust in Pomona.